Baseball is one of the most popular kinds of sports in the United States as well as Canada, Central and South America, the Caribbean and East Asia. It became the national sport in America in the end of 19th century, previously being brought to the continent by English immigrants. And since then, baseball gathers lots of people, who are eager to watch the game of batting and fielding. If you are a fan of this game, let’s have a look at the most popular baseball posters, which you will definitely like. Corey Scott Kluber is a baseball pitcher of the Cleveland Indians. He started to play professionally in 2007, becoming a player of San Diego Padres after the fourth round of the 2007 draft. He made the Major League Baseball debut in 2011, being a player of the Cleveland Indians. Corey throws 5 pitches: a four-seam fastball, a sinker with a two-seam fastball grip, a cutter, a breaking ball and a changeup. However, he is most appreciated for his two-seam sinker and breaking ball. In 2015, he stroke out at least 18 batters in a nine-inning game in the game against St. Louis Cardinals and became one of 20 pitchers in the history of the major league to do that. For his career, Kluber got various awards, including American League Pitcher of the Month, American League Player of the Week, Atlantic Sun Conference Pitcher of the Year, Cy Young Award, Major League Baseball All-Star and The Sporting News American League Starting Pitcher of the Year. In 2014, his name was added to the Stetson Athletics Hall of Fame. Giancarlo Cruz Michael Stanton is an American baseball outfielder, who plays for the New York Yankees. He made the major league debut in 2010, being a player of the Miami Marlins, which selected him during the 2007 MLB draft. Being 20 years 212 days old, Stanton became the third youngest player in Marlins history. In his debut match, he went 3-for-5 with 2 infield singles and scored twice. In his debut season in the major league, Giancarlo was called an outfielder of the year in Topps Major League Rookie All-Star Team as well as Baseball America’s All-Rookie Team. In 2014, he signed the ﻿﻿﻿﻿﻿most lucrative contra﻿﻿ct in the sports history, which would bring him $325 million in 13 years. Since 2017, he plays for the New York Yankees. The same year, he became the winner of 2017 World Baseball Classic competition. 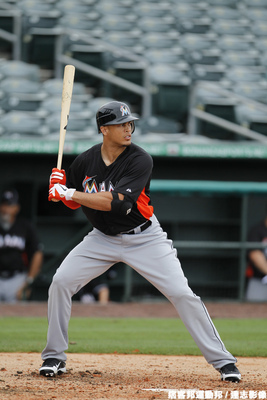 Giancarlo, who is most known for his physical strength and regular hitting of long home runs, has earned many awards. Among them are 4 All-Star, Major League Baseball Most Valuable Player Award, 2 Silver Slugger Award, 2 NL Hank Aaron Award, NL home run leader and NL RBI leader. Charles Cobb Blackmon is a baseball center fielder, playing for the Colorado Rockies. Being a high school student, he was a left-handed pitcher and outfielder as well as competed in football and basketball. He was even called Academic Player of the Year 3 times. In the second round of 2008 amateur draft, he was selected by the Colorado Rockies. He debuted in the MLB in 2011, being a player of the Rockies. In 2014, Charlie had 6 hits, five RBI and 4 extra base hits in a single game, becoming one of 5 players in the MLB history, who did that. In 2017, he became the first player in history to lead the major leagues in hits (213), runs scored (137), triples (14) and total bases (383) in the same season. Among the awards won by Blackmon are 2 All-Star, 2 Silver Slugger Award and NL Batting champion as well as Player of the Week and Player of the Month awards. He also set the MLB record of 104 RBIs by a leadoff hitter. Christopher Allen Sale is a baseball pitcher for the Boston Red Sox. Playing baseball at the college, he became the Atlantic Sun Conference Pitcher of the Year and the Collegiate Baseball Player of the Year. 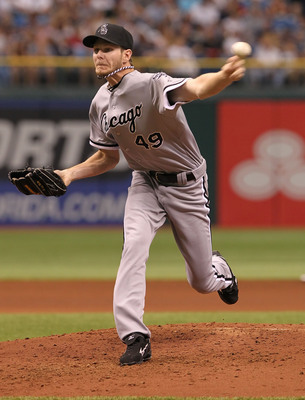 In 2010, he made his MLB debut, being a player of the Chicago White Sox, which selected him during the 2010 amateur draft. In 2016, he was sold to the Boston Red Sox. Being a power pitcher, Chris has achieved a great number of strikeouts and even set some records. For instance, in 2017, he stroke out 10 or more batters in 8 consecutive starts, sharing the record with Pedro Martinez. After 178 strikeouts in the first half of 2017, Sale was called the American League’s starting pitcher for the second time in a row, becoming the first pitcher to do that since 2001 as well as the first for the AL since 1984. Moreover, in 2017, the baseball player recorded 1500th strikeout and became the fastest player to do that in terms of innings pitched. Among awards, received by Chris, are American League Pitcher of the Month, Major League Baseball All-Star, The Sporting News American League Starting Pitcher of the Year. He participated in All-Star games 6 times and was 2-time AL strikeout leader. Nolan James Arenado is a baseball third baseman, playing for the Colorado Rockies. He was selected by the Rockies in the 2009 MLB draft. In 2010, he debuted in the MLB with the team. In 2017, he was a member of the US national baseball team, which won the World Baseball Classic. Arenado is the only infielder who won the Rawlings Gold Glove Award in each of his first 5 seasons in the league. Also, he won National League Platinum Glove, the Fielding Bible, Wilson Defensive Player of the Year, All-Star Futures Game selection, MLB All-Star Game and Silver Slugger Awards. In 2015, Nolan won the professional Athlete of the Year Award at the Colorado Sports Hall of Fame. Moreover, Nolan Arenado set several records. Thus, at Colorado Rockies, he set the hit streak record of 28 games, record of home runs in six consecutive games, record of youngest player to reach 100 home runs. In the Major League Baseball, the athlete was the first rookie to win Gold Glove at third base since 1957, the first third baseman to win five Gold Gloves in his first 5 seasons as well as set the record of 89 extra base hits in one season by a third baseman. Maxwell M. Scherzer is a baseball pitcher of the Washington Nationals. During the 2006 amateur draft from the University of Missouri, he was selected by the Diamondbacks. He made his MLB debut in 2008, being a player of the Arizona Diamondbacks. During his first game, Max set the record for the number of consecutive batters retired (13) for a pitcher making his MLB debut. In 2010-2014, he played for Detroit Tigers. In 2015, Scherzer signed a seven-year contract with the Washington Nationals for $210 million and the signing bonus of $50 million, the largest deferral in the MLB history. In 2016, he became the first pitcher to strike out 20 batters in a regulation game in the 21st century. In 2018, Max was called the top pitcher and the 4th best overall player in baseball by Sports Illustrated. The same year, he became the first pitcher in the MLB history to record 15 strikeouts in one game as well as the player, who needed the fewest innings (63) to reach 100 strikeouts in one season. Max Scherzer is the winner of 3 Cy Young Awards, Esurance MLB/This Year in Baseball Awards Best Performance and Best Pitcher, 5 MLB All-Star, 4 Pitcher of the Month, 3 The Sporting News Starting Pitcher of the Year Awards. Anthony Vincent Rizzo is a first baseman of the Chicago Cubs. Following the 2007 Major League Baseball draft, he was chosen by the Red Sox organization. 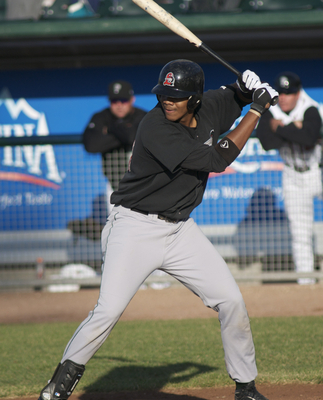 Being considered the third best prospect and the best power-hitting prospect of the Red Sox, in 2010, Anthony was sold to the San Diego Padres. Anthony debuted in the MLB in the summer of 2011, hitting a triple and scoring a run in his first game. In 2012, he was traded to the Chicago Cubs and became the first player of the team, who had three game-winning RBIs in his first 5 games. Moreover, in July, he became Rookie of the Month. In 2014, the athlete became the youngest player to receive the Branch Rickey Award. Rizzo has won a great number of titles and awards. He is 3-time All Star, World Series champion, the winner of Gold Glove, Silver Slugger, Platinum Glove, Heart and Hustle, Fielding Bible, Marvin Miller Man of the Year and Roberto Clemente Awards. Kenley Geronimo Jansen is a baseball pitcher, playing for the Los Angeles Dodgers. He signed the contract with the Dodgers as an undrafted free agent catcher in 2004. In 2009, he played for the Netherlands team at the World Baseball Classic. Late in 2009, Jansen switched to pitching, being convinced by the Dodgers that he had no future as a catcher. He made the MLB debut with the team in 2010. In 2015, Kenley became the first Dodgers pitcher with 5 seasons of 80 or more strikeouts. In 2016, he picked up the 162nd save in his career, breaking the franchise record, set by Eric Gagne. In 2017, the baseball player set the MLB record for most strikeouts without giving up a walk (36). Jansen is known for his cut fastball pitch, which reaches 98 mph. But he also uses a slider. The athlete has very high strikeout rates. After having 14.6 strikeouts per 9 innings in 2012, he gained the second highest result in history among pitchers, who have thrown at least 140 innings. Among the awards, received by Kenley Jansen are 2 All-Star, 2 Reliever of the Year and NL saves leader. Clayton Edward Kershaw is a baseball pitcher of the Los Angeles Dodgers. He is often referred as the best pitcher in baseball. During the 2006 MLB draft, he was selected by the Dodgers. In 2008, he debuted in the MLB, becoming the youngest player of the league and holding this title for 1 year. 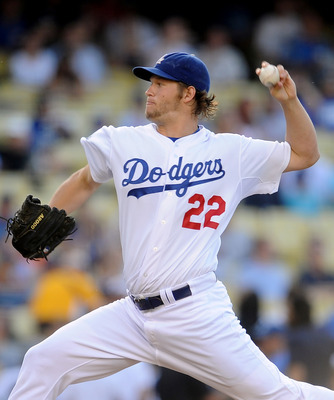 Kershaw is the first pitcher in history to lead MLB in ERA for 4 years in a row, from 2011 to 2014. In 2014, he became the first pitcher in history to strike out 10 while allowing 8 runs as well as the first pitcher to give up at least seven runs in back-to-back postseason starts. That season, he was called player of the year by The Sporting News and Baseball America. In 2015, he became the first Dodgers starter with back-to-back games of at least 13 strikeouts since 2000 and the first Dodgers pitcher with back-to-back games of double-digit strikeouts and no walks since 1930. Clayton’s style of pitching is known for its deception, movement and changes of velocity. He throws such pitches as a four-seam fastball, a slider, a 12-06 curveball and more seldom changeup. Clayton Kershaw was selected for All-Star games 7 times in row from 2011 to 2017. He was called player of the week and of the month multiple times. Among his greatest achievements are the National League Most Valuable Player, 3 Cy Young Awards, Triple Crown, Gold Glove, Roberto Clemente, Marvin Miller Man of the Year and 4 Warren Spahn Awards. Moreover, he was 3-time NL wins leader, 5-time NL ERA leader and 3-time NL strikeout leader. All in all, baseball is a really spectacular game, which never goes out of fashion. That’s why, it’s not strange that baseball posters are among the most popular choices of the sports fans. We hope you like our selection and have already found something for yourself.